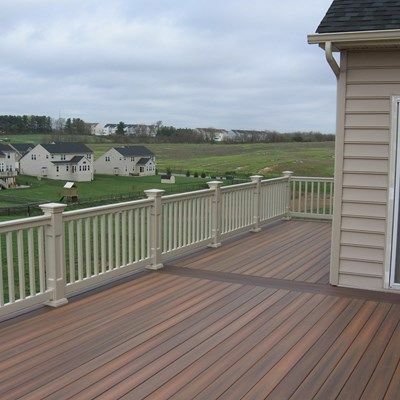 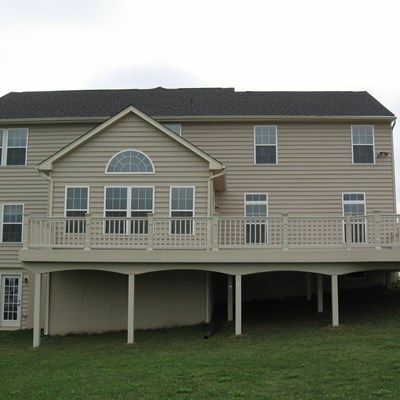 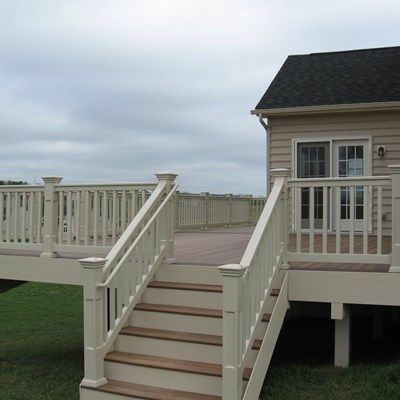 Fiberon deck with PVC railing. 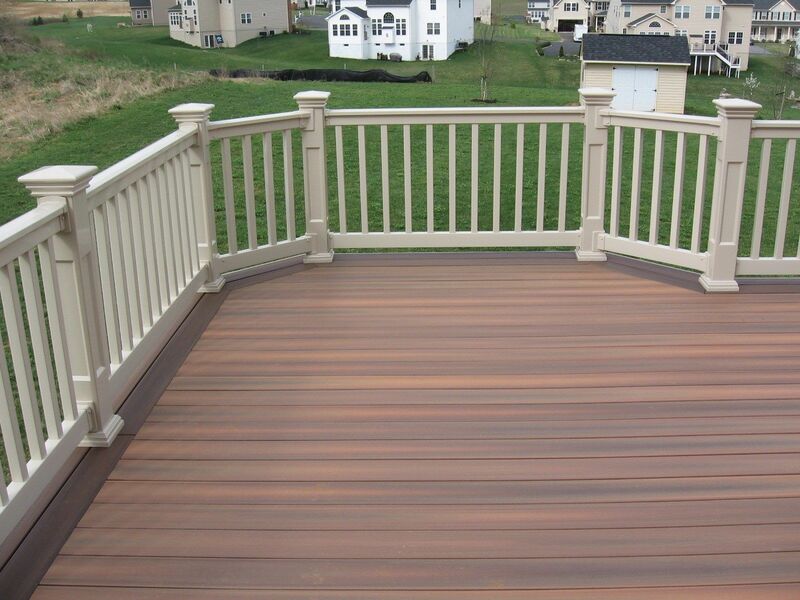 The railing posts are recessed panel and railing color is almond. 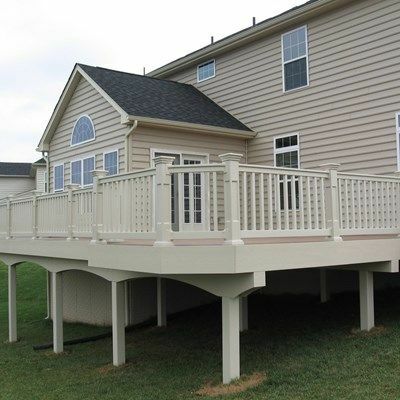 The support posts are PVC sleeved and the beams have arched PVC fascia.